All across our state this week, students are taking the dreaded standardized tests known as the MCAS exams. Kids are nervous, teachers are on edge, and administrators have been sending home notices with reminders like: "Don't let your child stay up all night before the test" and "Please feed your child breakfast on the morning of the test." Being the concerned parent that I am, I wanted to pack a snack in their lunch boxes that would provide a good enough sugar rush to sustain them until the last bell rings. 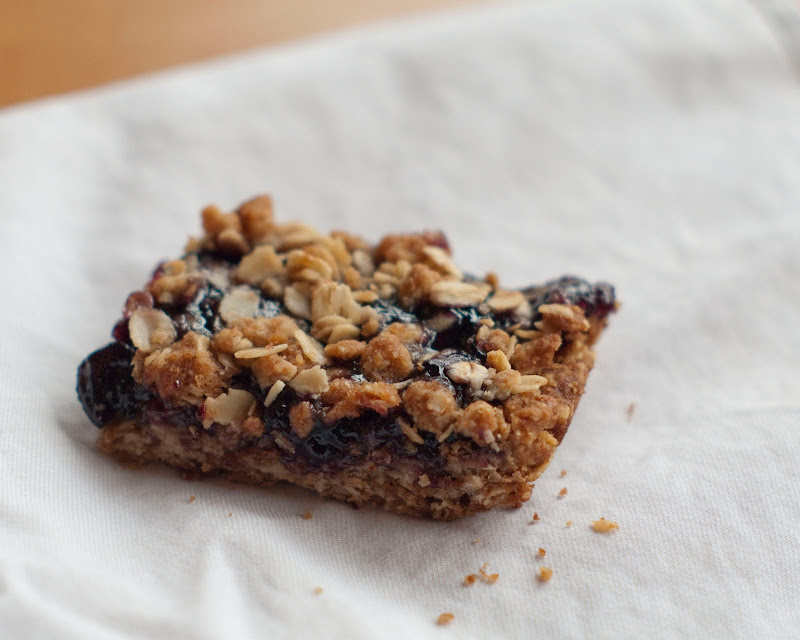 These jam squares fit the bill - made with oats and plenty of butter, they stick with you. Combine 2 cups oats, 3/4 c brown sugar, 3/4 c flour, 1/4 tsp baking soda, 1/4 tsp salt. Add 1 stick melted butter, mix well. Reserve 3/4 c oat mixture for topping, press remaining firmly into 7 x 11in pan. Bake at 350 for 12-15 mins, until golden. Remove from oven, spread 12 oz jam on top, crumble reserved oat mixture on top. Return to oven until golden & bubbly, about 30 mins. You win the Mom of the Week award for sure!! I'm going to use your recipe to make these snacks for my girls when it's their turn for standardized tests later this spring. Thanks for sharing!! Made these last night- just in time for the last day of testing week. They are delicious-- but mine don't look nearly as nice as yours! Oooo, I'm gonna try these tomorrow! Zoe needs new snacks for school anyway! Unfortunately I don't think anything can save her on her crummy MCAS scores. ugh. yummy looking treat and thanks for the recipe! Making some now! They smell amazing. Something tells me mom might eat them all before the kids get home. I feel another batch coming on, myself... maybe apricot this time...!